"What a difference a month makes," said Michael Tran, commodity strategist at RBC Capital Markets. "Market sentiment has shifted from the most bullish tone in years with many calling for $100 only weeks ago, to the weakest investor sentiment since the 2016 price trough." 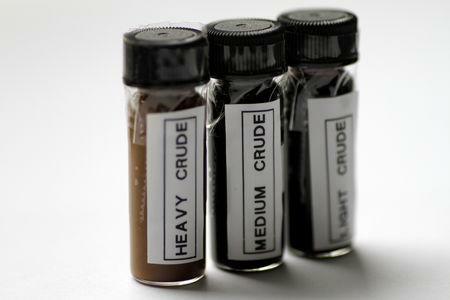 Benchmark Brent crude <LCOc1> futures fell 47 cents, or 0.7 percent, to settle at $70.18 a barrel. During the session Brent fell below $70 a barrel for the first time since April, as much as 20 percent off four-year highs reached in October. U.S. West Texas Intermediate crude futures <CLc1> declined 48 cents, or 0.8 percent, to settle at $60.19 a barrel. The session low was an eight-month bottom at $59.26, down more than 22 percent from its October peak. That decline puts U.S. crude in "bear market" territory using a stock market definition. But other big producers have more than compensated for lost Iranian barrels. The United States, Russia and Saudi Arabia are pumping at or near record highs, producing more than 33 million barrels per day (bpd), a third of the world's oil. Also, U.S. sanctions on Iran are unlikely to cut supply as much as expected. Washington has granted exemptions to Iran's biggest buyers. Bernstein Energy now expects "Iranian exports will average 1.4 million to 1.5 million bpd" during the exemption period, about half the volume in mid-2018.